Pencak Silat Anak Harimau | Pencak Silat ist eine jahrhundertealte Kampf- und Bewegungskunst, die ihren Ursprung im Südostasiatischen Raum hat. Die Hauptgebiete sind Indonesien, Malaysien, Brunei und Singapur. 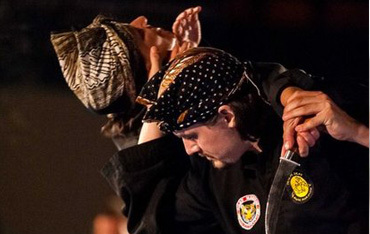 Pencak Silat is an ancient martial art having its roots in the south east asian areas of Indonesia, Malaysia, Brunei and Singapur. 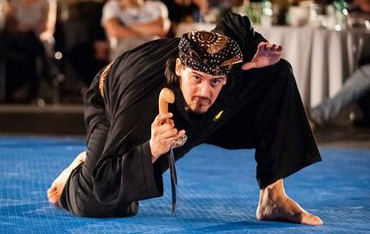 Pencak Silat itself comprises a multitude of styles, which are very different depending on the region and ethnical groups where each style originated. 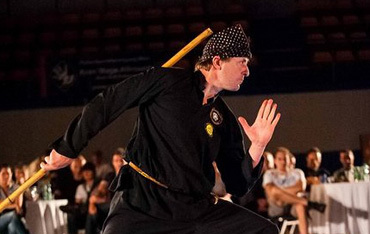 Common elements of all syles are smooth movements, elements resembling and influencing traditional dance, but also fighting application as self defense. Possibilities to train Pencak Silat Anak Harimau are given at the following places. Two groups are training in Vienna, one is training in Ladendorf near Mistelbach, Lower Austria.